Expert community finds it impossible to grant independence to the disputed territories in the ATO area. Only 7.9% of the experts state that this option is acceptable in order to resolve the conflict. Even less – 4.1% – believe in the possibility of joining the Donbas to Russia. The given results were obtained by community initiative “Restoring Donbas” during a survey among experts from Donetsk and Lugansk regions. At the same time, Donbas expert community mostly stands for peaceful settlement of the conflict. More than half from the interviewed experts (52.3%) consider that the continuation of the negotiation process is necessary condition of resolving the conflict in the East of Ukraine. 34.9% support the continuation of military operations. Only 12.8% of respondents state that providing for the right to self-determination territories, where ATO is conducted nowadays, is a necessary way out of the situation. However, one in three is ready to consider the possibility of establishing autonomy within Ukraine as a political decision. Nevertheless, the majority of experts (56.2%) think that a settlement of the conflict lies in returning to status-quo – preserving the Ukrainian state integrity and the provision of Donetsk and Lugansk regions of the same development conditions as other regions of Ukraine. It is noteworthy that the responsibility for what happens is assigned to specific personalities. According to experts, the President of Ukraine (53.1%), EU leaders and the US (46.3%), the president of Russia (41.6%) are able to change the situation in Donbas. The leaders of the self-proclaimed “republics”, the regional elite and deputies of the Verkhovna Rada of Ukraine are considered by experts to be the subjects of decision-making – 7.7%, 15.6% and 18.9%, respectively. The residents of ATO zone as a subject of conflict resolution are identified by several experts (27.7%). 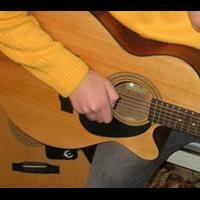 According to experts, in any case, hardly anyone is able to resolve the conflict unilaterally. Thus, 73% of respondents identify two or more key decision-making entity, who are capable to resolve the conflict or to improve the situation in the Donbas. Damage to the regional economy, experts estimate as follows: the financial sector have caused the greatest harm through the blockade and military actions (7.8 points out of a possible 10). In addition, production capacity of local enterprises were severely damaged (7.7 points). Concerning the post-war reconstruction, interviewed experts have pointed out the main obstacles: the lack of innovation (7.2 points) and the poor state of transport communications (7 points). Least of all the problems they see in the resource base, the state of recreation and service personnel. Respondents associate the prospects of economic Donbas recovery with five main economic sectors: metallurgy, coal industry, small and medium enterprises in the industrial sector, the agricultural sector, innovative technology and communication services. More than half of the experts marked out the development of entrepreneurship and innovation among the priorities. In the aspect of focus on sectors of economy, traditional for Donbas (metallurgy and coal mining), experts support ideas of new economic approaches in development of the region. In particular, respondents believe that after the end of military actions it is necessary to create an innovative industrial area in Donbas (27%), pay attention to restoration of the banking sector (26%) and to introduce tax holiday for small and medium-sized business (25%). Experts attributed non-production sector of the economy – transportation, services sphere and tourism to the secondary priorities. For the development of small and medium-sized business it is necessary to implement the practice of Donbas concessional loans (62.8%), meetings and training sessions for entrepreneurs (60.7%), the mode of “tax holidays” (58.4%). The experts, who live in the ATO area, priority tax measures are: tax holidays (70%) and exemption from taxes and fines (41.7%). Meantime the local economy is not able to keep the region from sliding into a humanitarian catastrophe. The most popular humanitarian aid for residents of ATO area and for the territories of Donbas, which are controlled by Ukraine, are medicine. According to experts, is also very important to obtain staple foods, baby food and personal care products for residents of the ATO area. In addition to humanitarian aid, the residents of the ATO zone and displaced persons require providing some information services, such as background information and legal consulting. The full version of the research results are available on the website of the community initiative “Restoring Donbas”. 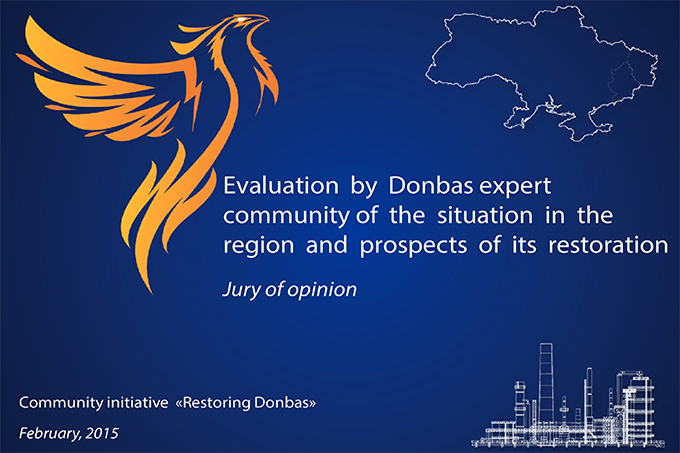 The survey “Evaluation of the situation in the region and the prospects for its recovery by Donbas expert community” was held by community initiative “Restoring Donbas” with the support of the Donetsk Press Club from 27 December 2014 until 31 January 2015. During the research the method of expert absentia survey (online surveys) was used. The survey involved 400 representatives of the expert community of Donetsk and Lugansk regions: volunteers, community leaders, journalists, entrepreneurs, professionals manufacturing and business leaders. In this study, Donbas experts were distinguished on the basis of place of residence: ATO area, Donetsk and Lugansk region (except ATO zone), other regions of Ukraine (except Crimea), Crimea, Kiev, foreign countries.